You may already know Product, Place, Promotion, and Price is the 4P’s of Marketing. These guidelines help you focus on areas that directly impact the success of a campaign. Can you use a similar model when it comes to eLearning project management? As a project manager for an eLearning initiative, it's easy to be overwhelmed. You're responsible for achieving all of the desired project goals, but may not have much experience to draw from. In addition, the success (or failure) of a project may impact your company’s reputation and profitability. 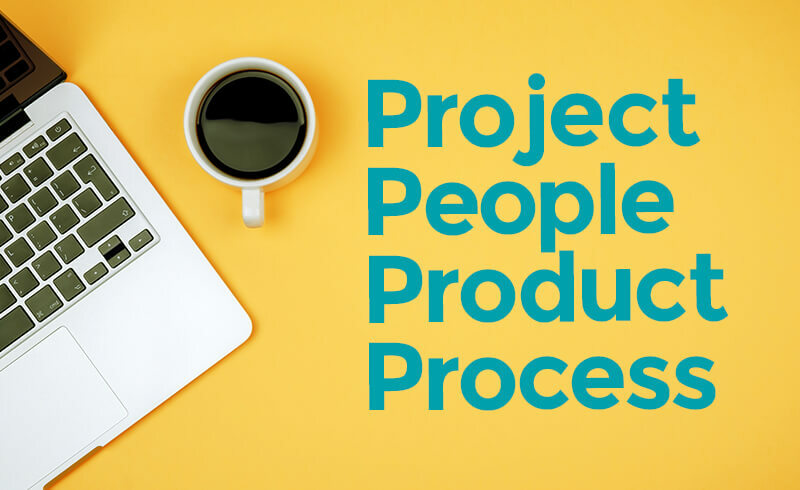 Using the 4P’s of eLearning project management can drive a positive experience for all members as well as your end result! Implementing an effective strategy involves a lot of tasks that all need to be completed on time and in a specific order. You need to clearly understand the project’s goals, timelines, members, budget and overall plan, etc. Here are a few important aspects with which to pay particular attention. Clearly define the objectives of the project. Include what you'll be doing to achieve them to avoid going over budget or missing deadlines, and effectively document deliverables and assumptions — ask for feedback to ensure nothing gets missed. Don’t forget these can also change over time — changes may impact milestones, timelines, required resources or team members. Negotiate attainable milestones and deadlines when you are faced with "urgent" projects. This will ensure on-time delivery, while allowing all members reasonable expectations. Your team will look to you to determine priorities when there are conflicts. You may also need to follow-up to ensure tasks are completed on time. Have a central database of information, files, project tracker and other assets. Keep this information easily accessible for the members of your team so everyone can keep track of the project’s development. Tools such as Google Drive can be a great way to provide access to multiple people while controlling permissions. Building your team is a key step. Internally, you may have subject matter experts, pilot testers, reviews, and management oversight. Externally, you may have vendors or consultants that are providing key services. As the eLearning project manager, you are your team’s motivator. You need to support your team and make each member feel comfortable and clear about their responsibilities. Having the right team and providing clear communication is crucial for the success of a project. Select your team based on several factors such as their skills, the project requirements, their availability, the project deadline, etc. It's no good to pick a team member for an urgent project when they have a vacation scheduled! Assign the right members to the project’s tasks and provide them with clear instructions for deliverables and timelines. Don't forget that everyone has busy schedules — special projects may mean extra time is required for your team. Communicate often and clearly to prevent misunderstandings and mitigate the risks of failure — but don’t forget to exercise awareness and sensitivity to different cultures and communication styles. These can often be a source of conflict both internally and externally. Knowing as much as possible about the project, the team and your resources are essential to delivering a positive and high-quality eLearning project. However, understanding the needs and wants of your audience is also crucial for a project’s success. Kick start the project with a meeting. Review everything from project scope to key deliverables, and make sure all key team members are present. Being transparent at the beginning will help to avoid misunderstandings and redoing work later on in the project. Communicate the scope of the project and the steps involved clearly so your team knows what they need to do and when. This has the added benefit of showing the value of their investment of time, resources or budget. Consider creating a worksheet or document that is shared among the team and continually updated. Listen to the needs of your learners, team, and stakeholders throughout the project. You may uncover an opportunity to expand or adjust the scope of the project to better suit their needs. Remember, you're the expert! Having a clear process is one of the most important aspects of any eLearning project management. Creating a roadmap you can easily follow will help avoid missing things like milestones, key deliverables, reviews or approvals. Create organized project plan templates and ask your team for feedback on them. Provide your team with a clear vision of the project and how they will be involved in the process. You can use checklists, Gantt or flowcharts, documents or other methods. Pick template formats that will be easily accessed by the team — don’t forget to update them as you learn along the way! Survey your team and stakeholders mid-project and again after it is completed. Ask them to rate or give specific feedback about their experience to identify areas of improvement or things they believe went well. You can also set a post-mortem meeting with your internal team. Discuss items such as what worked well and things that didn't go as planned. Revise your current eLearning project management processes based on what you have learned to help your future success. Finally, consider using project management software. They allow you to visually track the progress of your project, monitor your progress and resources and can provide details on things like cost, time and scope. There are lots of tools out there from basic to highly complex and feature rich. Research and find one that suits your workflow as well your team member’s wants and needs. Visit Capterra’s top 10 list for the Best Project Management Software to get started. In conclusion, the 4P’s of eLearning project management are a great place start. If you'd like to know about the eLearning project management systems or tools we utilize or if you'd like assistance with your next eLearning project, we’d love to hear from you! Andrea is passionate about the process! As Project Manager, she uses project management principles, concise communication and a clearly defined process to guide clients and successfully take their projects from conception to reality. Subscribe to our Flare Learning blog to get the latest online training tips and tricks delivered right to you. Ensure your training never flames out! Don't just make your courses available, make them accessible to every learner.! We're here to help you make it happen. eLearning Revolution: Start With "Why"
Starting an eLearning revolution with a goal of betterment is fine, however, we'll help you push past generic reasons and show you how to start with "why." Managing any eLearning project brings its own challenges. Add to that the need to influence key Subject Matter Experts and a project can be put at risk. How do you effectively work with SMEs? Here are five tips to help you optimize your process while working with SMEs. Have an eLearning project you need assistance with? Contact us today and we'll be happy to answer your questions and discuss your unique online training needs with you! © Neovation Corporation. All Rights Reserved. Flare Learning is a division of Neovation Corporation.